Last week, I had the opportunity to plan for and help feed 150+ students that attended our church’s VBS. My mission: to sneak in some “unsuspected” ingredients. Here are a few of the mid-morning energy boosters that I served. 1. Homemade Chex Mix – I made Chex Mix (the “mix” you buy in the store has perservatives and the homemade batch lasts awhile in an airtight conatiner) but added some spinach powder to it (about 1/2-1 teaspoon depending on what you want). While it’s not a huge nutritional boost, it’s better than nothing! I ordered some from a seller on eBay since I couldn’t find it in the local stores. 2. 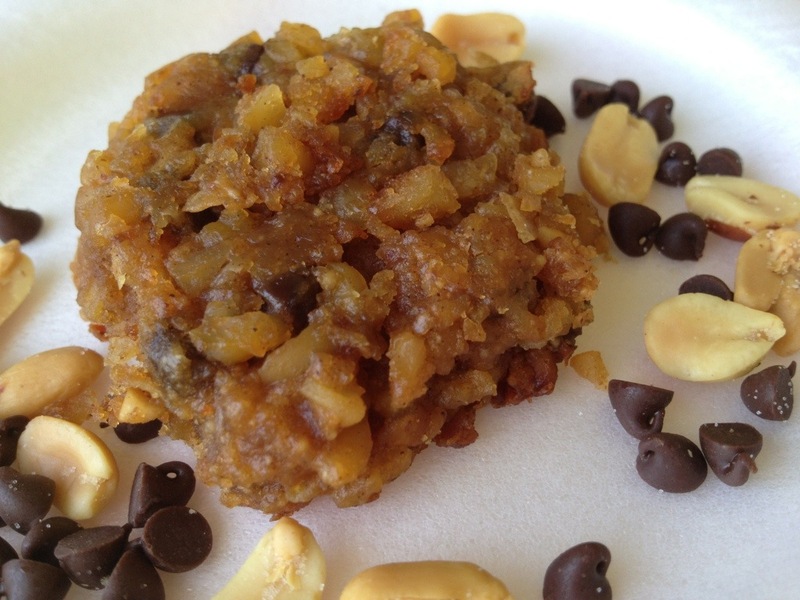 Chickpea Cookies – This is one of my kids’ favorites! I’ll double the batch and freeze them. They can grab them for a snack whenever they are hungry and are perfect for last-minute school snacks during the crazy school year! Place chickpeas in a food processor and process until they are crumb-like. Add in flax, baking powder, cinnamon and salt. Pulse for about 10 seconds. Add in nut butter and honey and process again until combined. Add in chips or raisins and pulse just until mixed throughout. Make into 1 1/2″ balls and place onto a cookie sheet. Gently press each cookie down. (They do not “grow” out so flatten to desired size.) Bake at 350 for about 10-12 minutes. Makes 12 cookies. 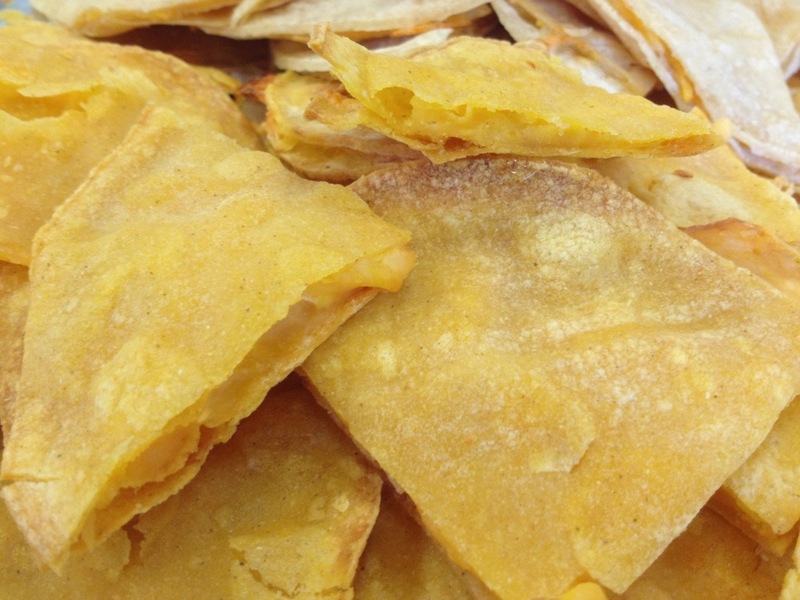 Another snack I made is a favorite of almost all kids- cheese quesadillas. Mine are amped up a bit with extra vitamin C via some yellow squash. I simply grate the squash (just like you do the cheese) and place it in a strainer. I lightly sprinkle with salt and toss. Allow to sit for about 10 minutes. (This process pulls the extra moisture out of the squash so it doesn’t make the quesadillas soggy. ) Use spray nozzle of faucet to lightly rinse squash. Lay on paper towels and pat dry. Spray tortillas with olive oil. Lay half of the tortillas on a cookie sheet, oiled side down. Place some shredded cheese onto tortillas. Spread a layer of the grated squash onto the cheese. Top with some more shredded cheese. Then place remaining tortillas on to complete each quesadilla, making sure oiled side is face up. Bake at 400 for 10-15 minutes, flipping once half way through OR grill them in a pan until browned and cheese is melted.